Winners selected by Random Number Generator! Please contact me with your email address! 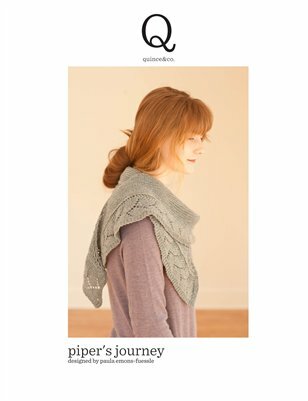 I will be donating Quince & Co yarn and Leslie Wind has generously offered 3 $40 gift certificates! (I didn’t even ask—she’s that nice!) thank you, Leslie! There are definitely some signs of fall although it is rather warm today and the past few days. The Redwing blackbirds are no longer staking out their territories on the fence posts. The American Goldfinches are starting to molt. The insects are singing quite a lot. Last night it was so loud outside! I believe every grasshopper and cicada was in full voice. As I sit here I am watching a hummingbird gathering nectar at the Butterfly Bush. Bob says that the birds are draining the platform feeder every day. They need more food as they prepare for migration and some may be migrating through to their winter grounds. A lone Goldenrod has bloomed in the midst of our wood pile. Susan aka Pinkshawlgirl sent me an article from the Kenosha News on Butterflies. According to the spokesperson in the article Purple Coneflower Echinacea purpurea is not native to North America! Pale Purple Coneflower Echinacea pallida is native. I was not able to verify so if you have information please let me know. Is it possible to become friends with a butterfly? It is if you first become a part of nature. You suppress your presence as a human being, stay very still, and convince yourself that you are a tree or grass or a flower. It takes time, but once the butterfly lets its guard down, you can become friends quite naturally. 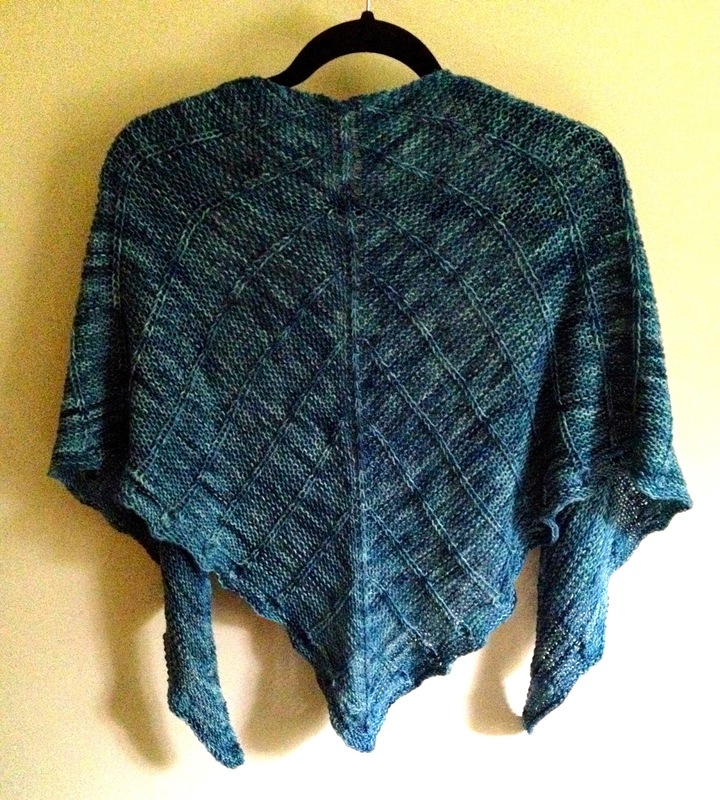 The Vedbaek shawl is part of the Doggerland: Knits from a Lost Landscape e-book collection. Special price! 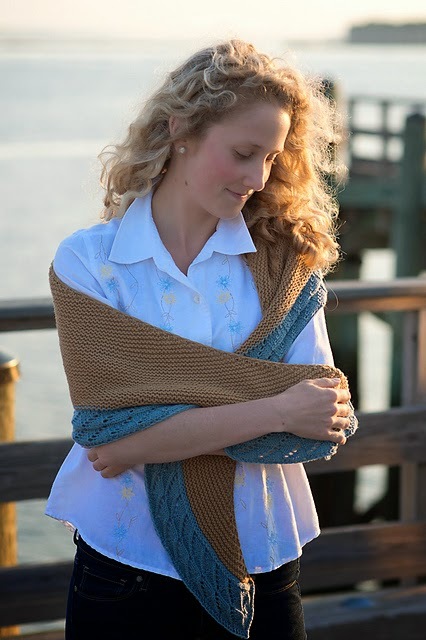 Designer Karina Westerman is offering Pipeliners 20% off the pattern Vedbaek until Nov. 1. 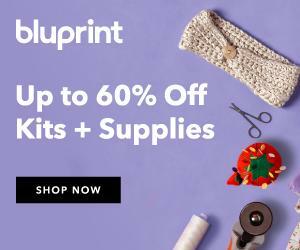 Use promo code swanwing. Thank you, Karina! I had 600 yd and it is quite large. I really enjoyed knitting Vedbaek. It is well-written with both charts and written directions. I’m not sure why it has not had more attention. It has just enough going on to keep your interest but easily memorized. 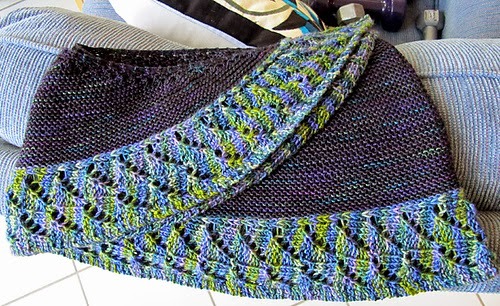 I knit most of it at SSK while conversing with others. Highly recommended. Do you have a favorite pattern that you feel has been duly recognized? 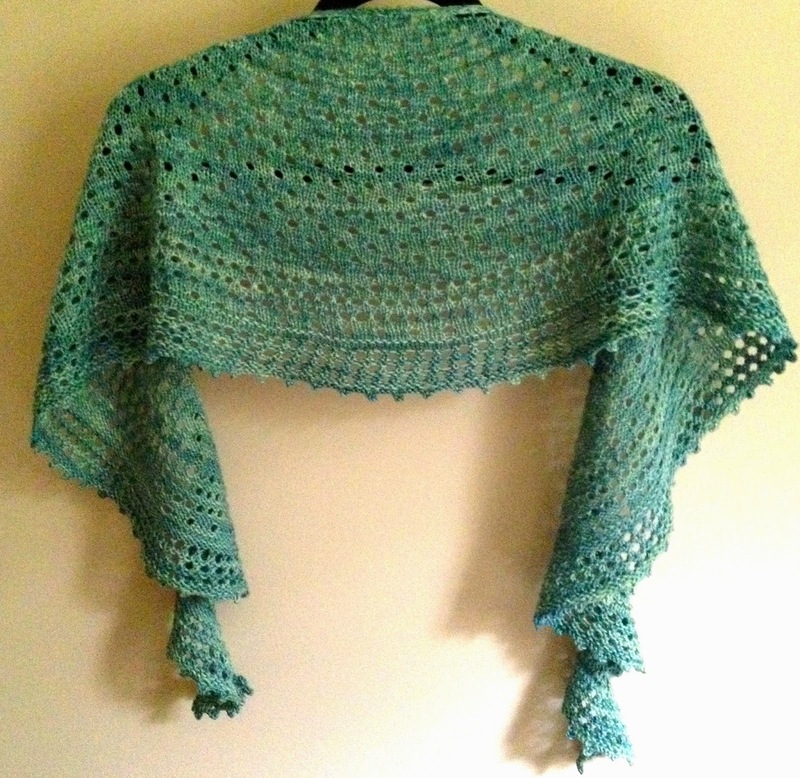 The Pebble Beach Shawl was the winner of the Unwind Brighton design competition! 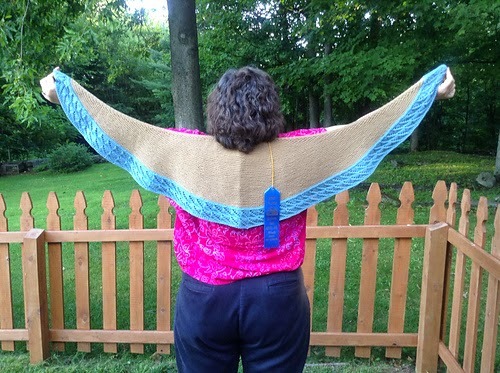 Beautiful shawl and excellent pattern. Highly recommended. Knit it up in a few days. 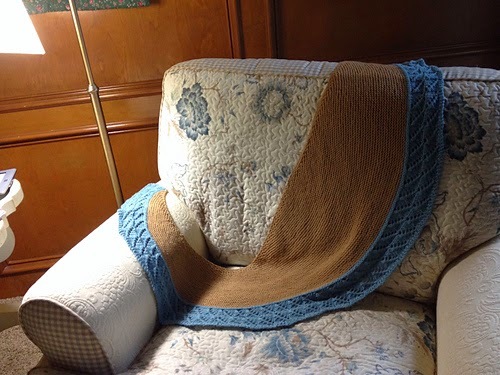 The yarn from Leading Men Fiber Arts is perfect! 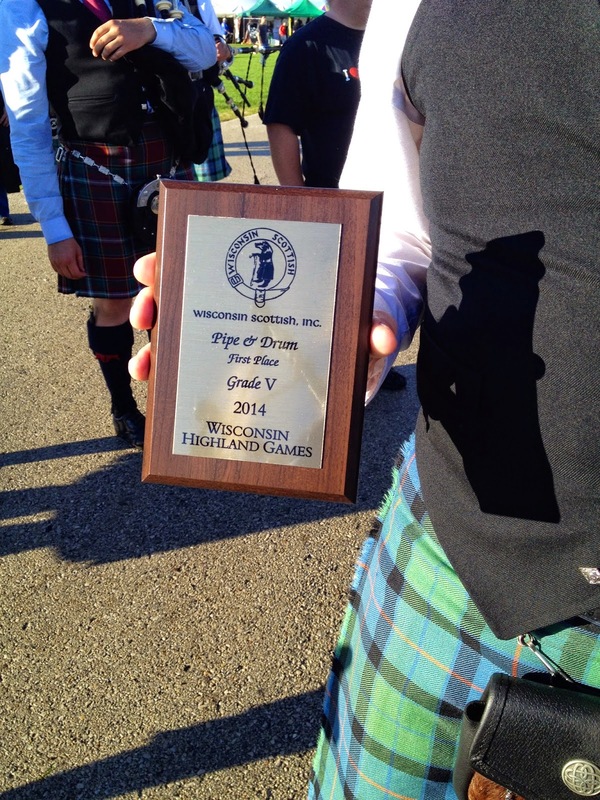 Saturday August 30 Waukesha WI Games We first place in Grade V with a clean sweep across all the categories! 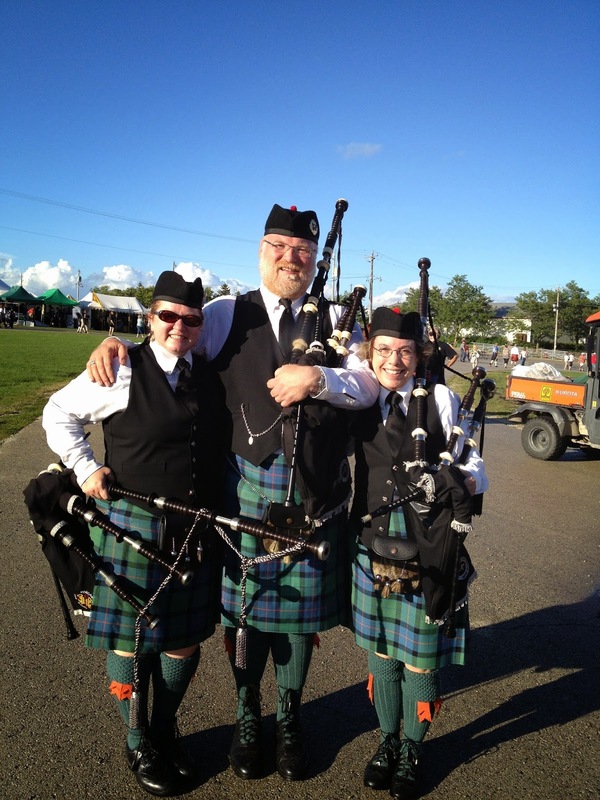 Celtic Cross Pipes and Drums won first place in Grade V! 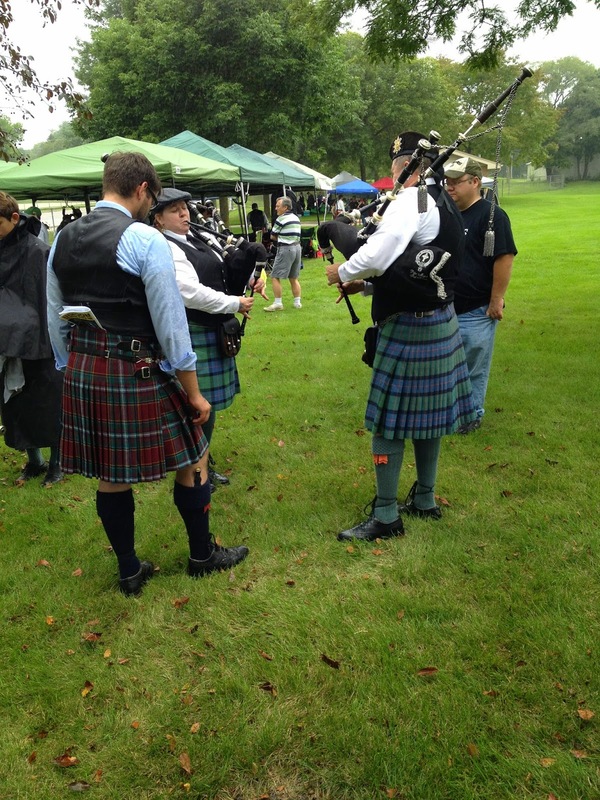 Wisconsin Sheep and Wool Festival! I'm going! Sock Architecture by Lara Neel. There is a giveaway for a free copy of this book. You must enter in the Ravelry thread here. I enjoyed the episode! Maybe your band thrives in the rain?